This month over at IGGPPC, the theme is Animation Celebration. 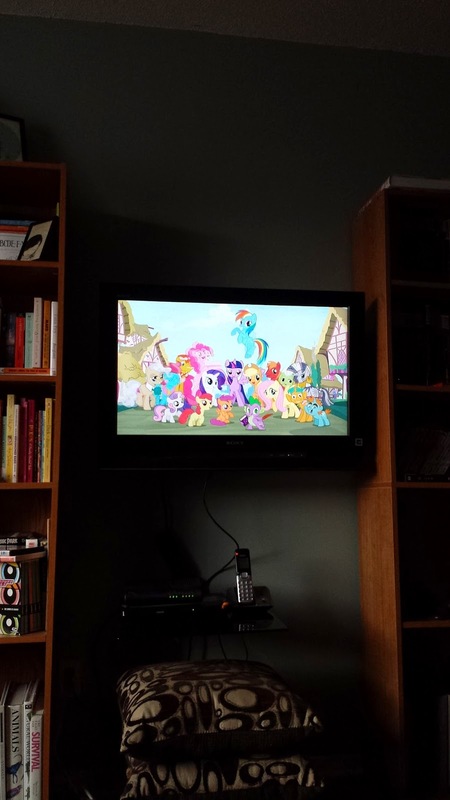 So I decided to make my Pinkie Pie and host a watch-along for the season 5 premiere of My Little Pony: Friendship is Magic. The pie turned out delicious and the premiere was excellent! 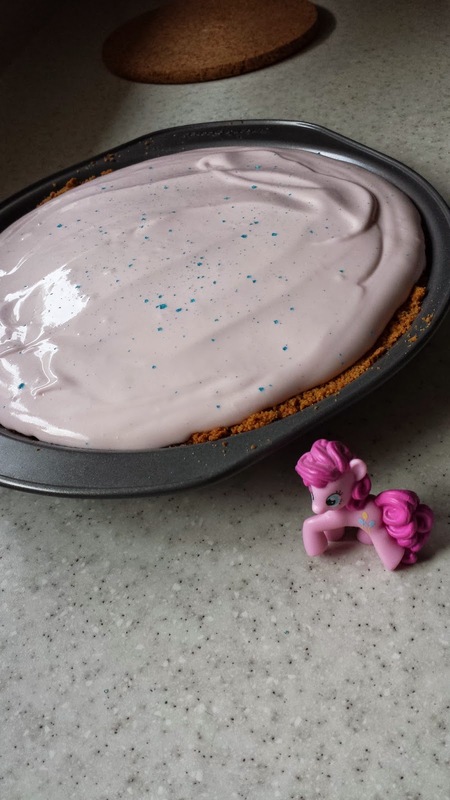 I followed the same recipe I used a couple of summers ago for the Pinkie Pie, which can be found here. 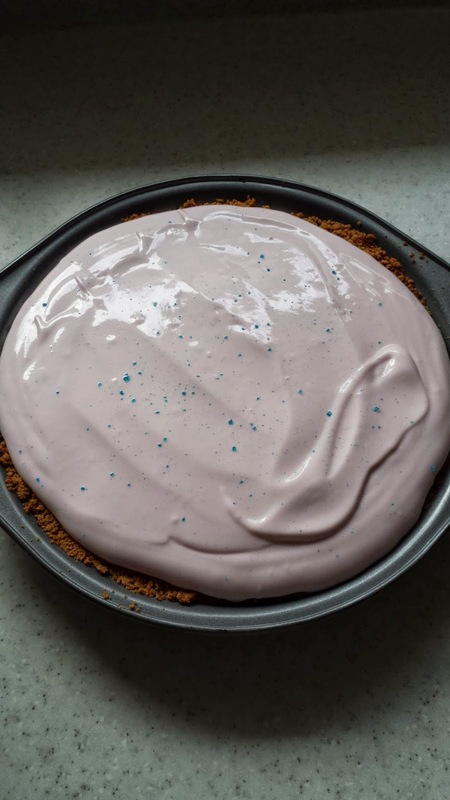 As a fan of pink lemonade, this pie is tasty. Both times I put the pie in the freezer to thicken up and it turns out delicious! If the season 5 premiere was any indication of what's to come this season for My Little Pony, I'm very excited. The premiere consisted of two episodes and it had a delightfully creepy vibe. It reminded me of Doctor Who which I really enjoyed. I'll be sharing another animation-inspired recipe on the IGGPPC blog next week before getting into next month's theme.